Popular Cat Breed - what are the most loved cat breeds? 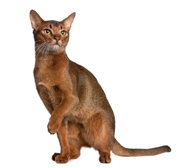 A popular cat breed - the breeds that everyone is interested in. Or so it seems at least. It seems the same breeds are the favorites year after year. They are beautiful - and they are quite different from each other in looks and personality. Perhaps this is the reason for their popularity. Beautiful looks combined with a specific kind of personality is what people are searching for. Indeed cat breeds have different personalities - from the lazy couch potato to the hyperactive explorer who follows their owner everywhere. 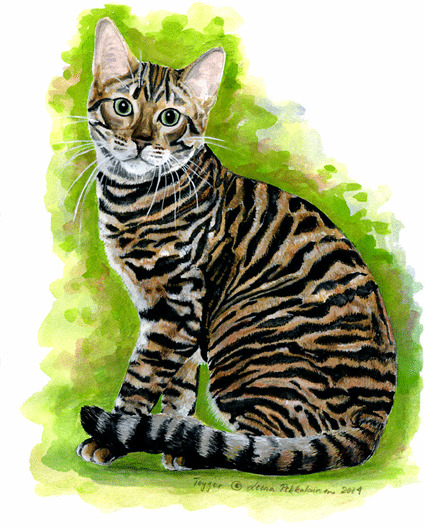 Here you will find information about these lovely, popular breeds - perhaps your cat of a lifetime is among one of these? Read about them and if you are interested enough, you could contact a responsible breeder and ask some more questions to decide if the breed would be just the one for you. This is a lovely, intelligent, beautiful and devoted cat. If you want an active cat that really keeps you company, here's your choice of a cat. A beautiful laid-back beauty indeed. And on top of that seems to love everyone. You will find more Ragdoll cat breed information here! Here is info about the Ragdoll cat's looks. And here you will find the Ragdoll cat colors defined. 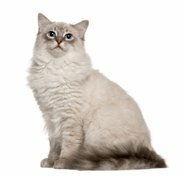 Looking for Ragdoll breeders? Click here! The Siamese... Everyone know what a Siamese cat looks like. 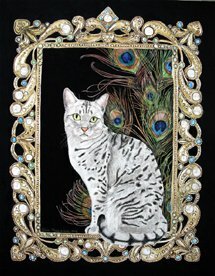 It is one of the oldest and most beautiful cat breeds. It has an interesting history, and there are many legends proof that this cat has intrigued people for centuries. This is a devoted cat, who will discuss with their owner in loud voices. Who could ever resist those gorgeous sapphire blue eyes? 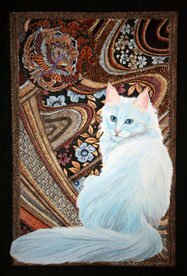 Here you can read more about the Siamese cat history. What is a Siamese like as a pet? Read more here. 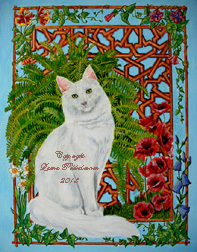 I also paint cat art - if you wish to check out my work, you can do so by clicking here.